Fendt e100 Vario. Our drive for the future. Farmers have lots of responsibilities. You enter into an obligation to protect nature and wildlife. Every day you face the challenge of handling resources even more efficiently, sustainably and carefully. 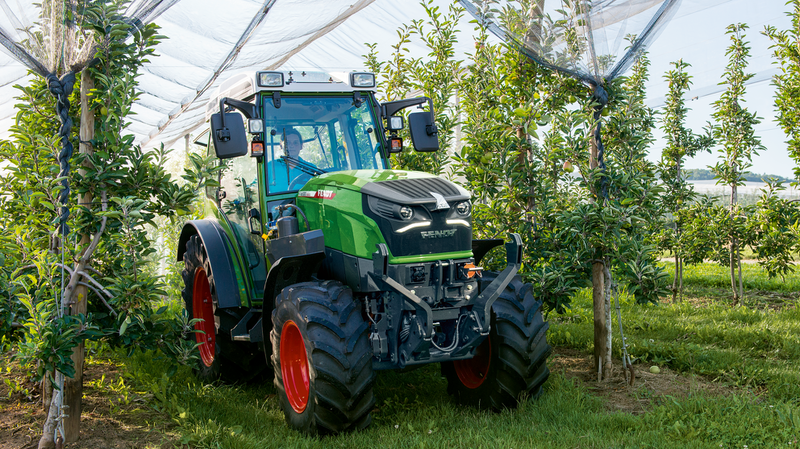 With the unique technology of the Fendt e100 Vario, you protect the environment and wildlife by producing zero emissions. Thanks to the electric drive, the Fendt e100 Vario is ideal for working in enclosed spaces, as there are no exhaust fumes. As the doors of the fair opened on November 4, the German Winegrowers' Association in cooperation with the German Agricultural Society (DLG) recognised outstanding innovations and further developments, which have led to advances in the wine, fruit juice and specialist crops industry. An international, independent panel of judges announced the winners of the Gold and Silver Innovation Prize, presented by EU Commissioner, Günther Oettinger. "The future is here today" wins silver. 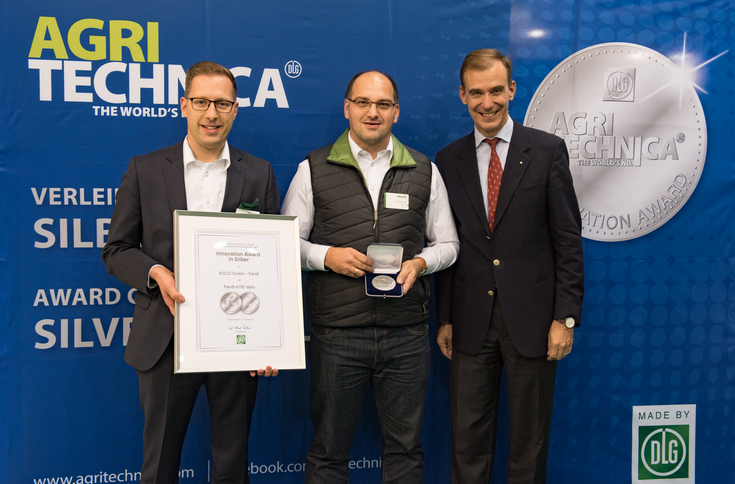 The DLG silver medal was awarded to the Fendt e100 Vario as an all-electric tractor. Moving ahead, step by step. The Fendt e100 is not just an idea, but a specific project designed to make sustainable improvements to your work in future. 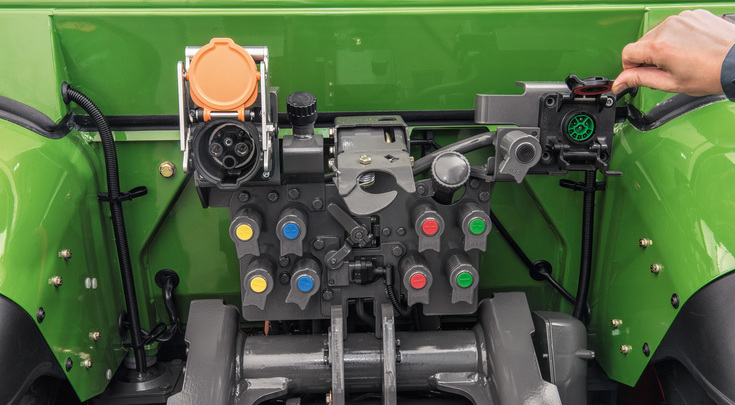 The conventional interfaces on this premium compact tractor allow all currently available implements to be driven, and the maximum torque to be transferred from the first revolution. And what’s more: Electrified implements allow you to work really efficiently, as no loss of flow or losses due to mechanics occur. 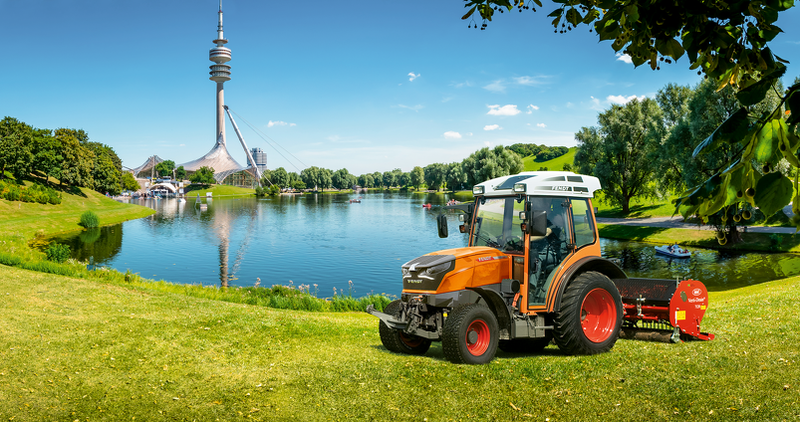 This future-oriented and economical tractor not only reduces energy costs, but also maintenance and service costs. The synthesis of technology and nature. 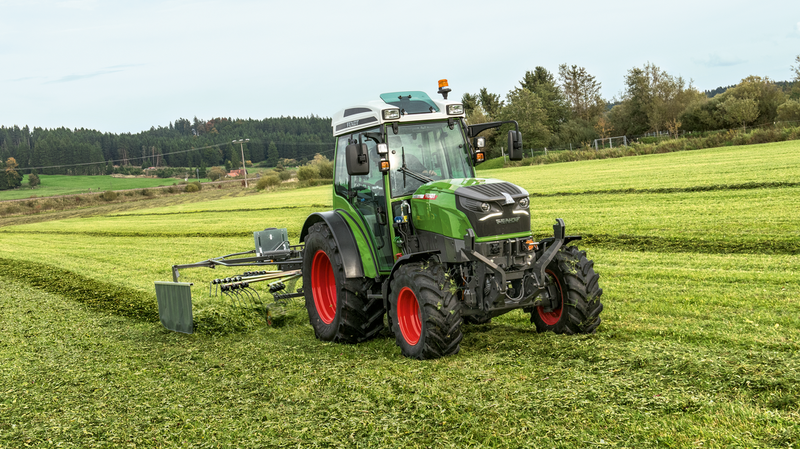 The Fendt e100 Vario allows the use of conventional as well as electrified implements. 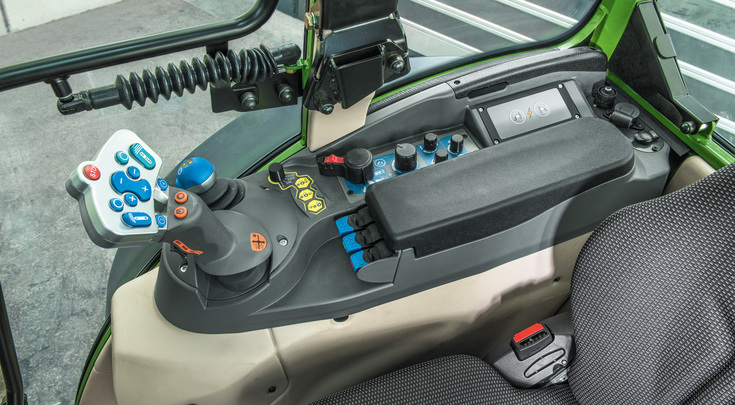 The electric tractor is fitted with two AEFcompliant power interfaces for electrical equipment. A short-term boost of up to 150 kW for the implements can be provided by the battery. A standard PTO connection is also available, as well as the normal hydraulic supply to implements. 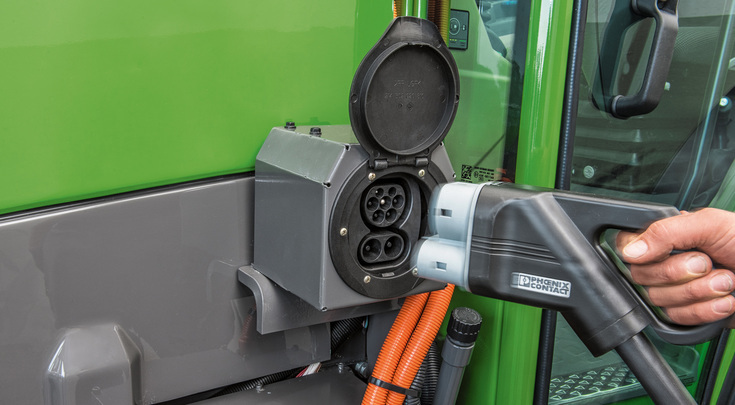 Therefore, the Fendt e100 Vario can be used with existing equipment with no additional caveats, but is also equipped to reap the benefits of using electrical implements. 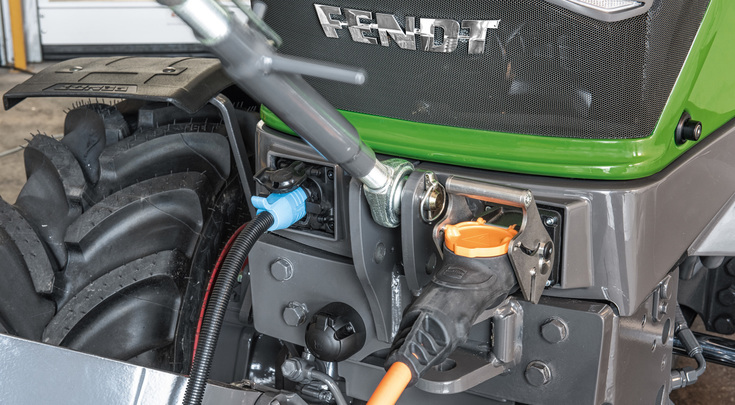 Fendt e100 Vario features the easy and intuitive controls we know from Fendt Vario tractors. The battery can be charged up to 80% within just 40 minutes. Attachments are driven with the complete hydraulics or PTO, but can also be operated electrically at up to 150 kW at a time. Front-mounted devices can also be driven hydraulically, electrically or by PTO. Take the strain off the workhorse. Protect the best. Hand in hand with nature and technology. The challenge of modern towns is to create a high-quality environment for residents: perfect green areas and tended paths and roads in the midst of intelligent urban architecture. 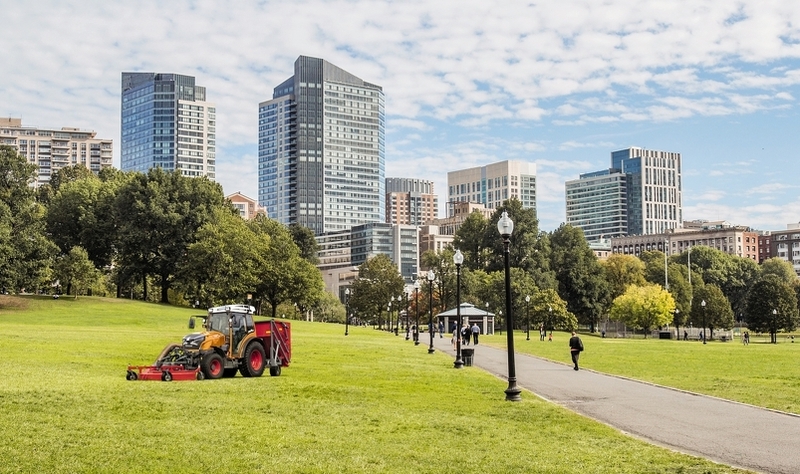 With the fully-electric Fendt e100 Vario compact tractor, you can perform any green space maintenance, cleaning work or winter service, not only emissions-free, but also with virtually no noise. 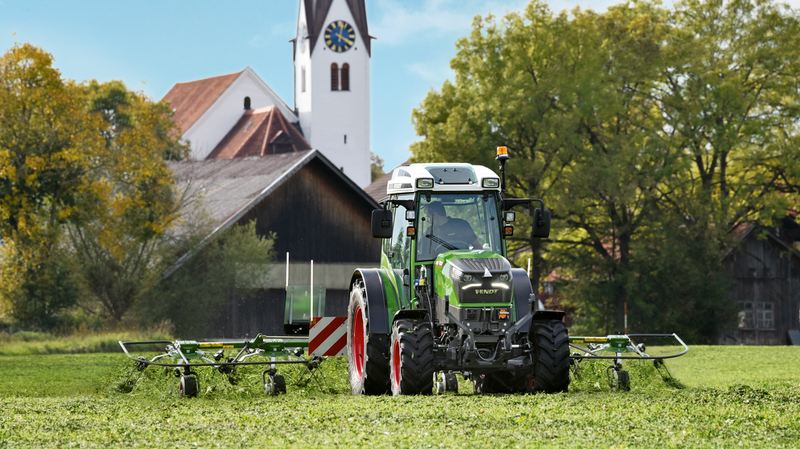 Thanks to its mechanical, hydraulic and electric interfaces, the Fendt e100 Vario is just as versatile as conventional tractors. All implements, which are used with the 200 Vario series with up to 100 HP, can also be used with the e100. 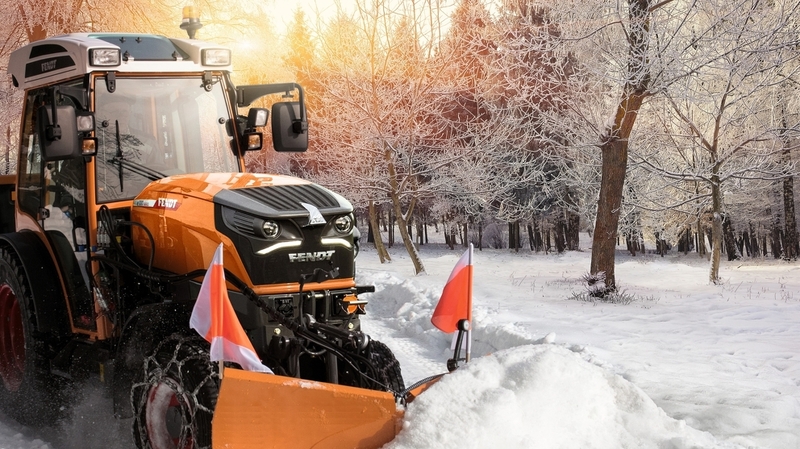 Because every season is high season for you, you need a tractor with which you can work easily at any time of the year. The environmental footprint is increasingly in focus. 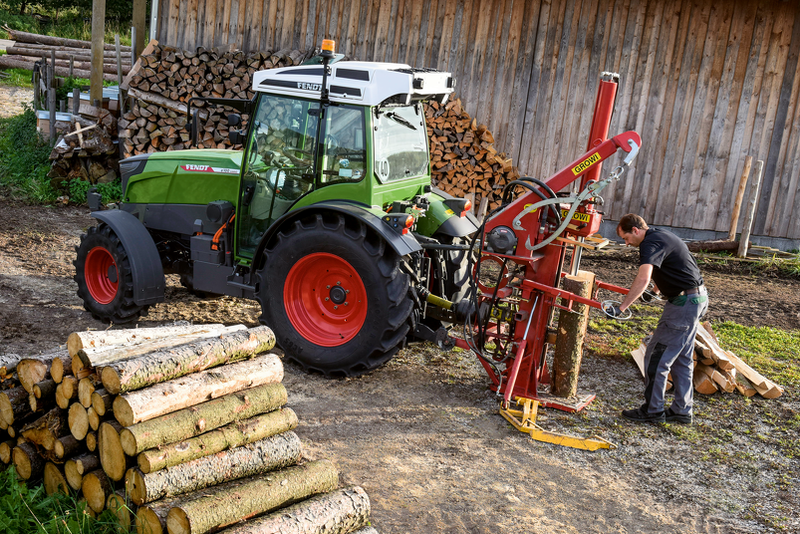 The Fendt e100 is an intelligent and sustainable solution which meets any challenge. 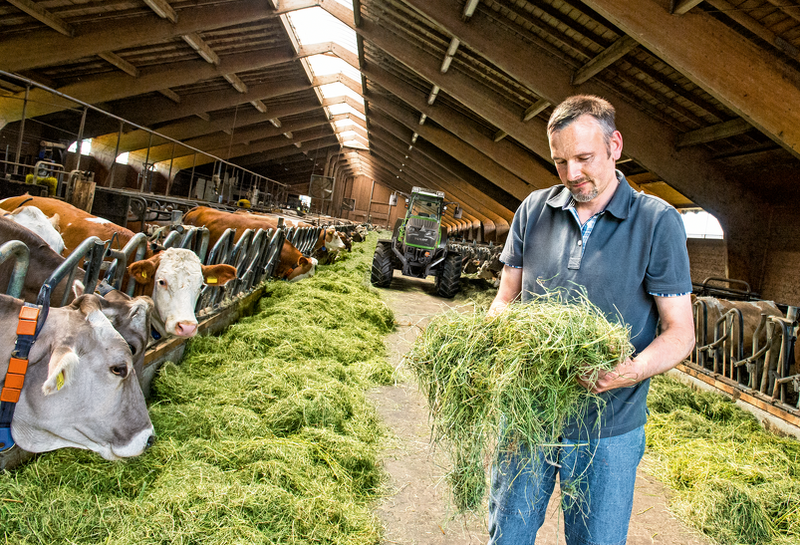 The cost efficiency of the battery-powered tractor is increased by a completely new, energyefficient type of thermal management. A regulated, electrical heat pump performs the task of air conditioning the cab, battery and electronics. Energy management and tractor functions can be monitored conveniently via app. In addition, comfort functions, such as pre-heating in winter or air conditioning in summer, can be easily controlled in charge mode. Your work will not only be more sustainable, but more comfortable.